Google back in November rolled out the ‘Smart Reply’ feature to its Inbox by Gmail application. The feature, after four months has finally made its way in to the Web version. 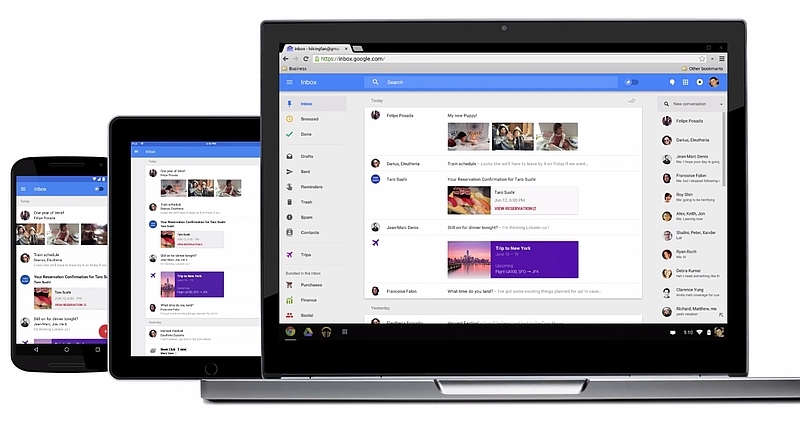 Just like the app, the Inbox by Gmail for Web users will now be suggested three email responses. “10 percent of all your replies on mobile already use Smart Reply, so we’re excited to bring this same convenience to the Web. It’s particularly helpful when you’re jamming through lots of emails on your laptop,” said Taylor Kourim, Software Engineer, on the Google blog post. When an email arrives to the Inbox by Gmail for Web, all you would have to do is to open the email and click on one of the three responses seen at the bottom. These responses are dynamic and are based on the nature of the incoming emails. As soon as one of the responses are clicked, it immediately shows up on the reply email body with the ‘Send’ option. Last month Inbox by Gmail got two new snooze features – Later This Weekend and This Weekend, to make it simpler for users to snooze their email alerts and get back to it later.